Dealing with the death of a loved one is an extraordinarily difficult endeavor. Our Chevra Kadisha ("Holy Society") is a volunteer support service for our congregational families and is ready to help congregants who need support with end-of-life issues. 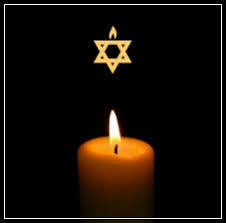 A group of dedicated volunteers, headed by Derek Fields and Anita Finkel, the Chevra Kadisha can help you prepare for this difficult time and support you during the immediate period following the death of a loved one and offers whatever support and assistance a family needs. This may include helping the mourners make funeral arrangements, setting up shiva, “watching” the body prior to the funeral (Sh'mirah) (attending the deceased until burial), performing ritual cleansing and dressing of the body (Tahara) according to Jewish tradition, or accompanying the mourners to services during the period of Shloshim, the first 30 days. If you need the assistance and services that the Chevra Kadisha performs, please contact Rabbi Silverstein, Rabbi Lucas or Cantor Caplan. If immediate assistance is required, please call the synagogue office at 973-226-3600.